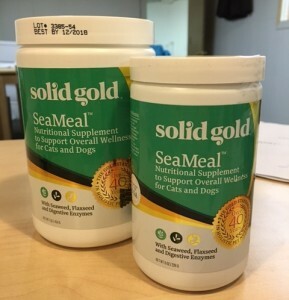 Seameal is Solid Gold’s #1 selling supplement for dogs and cats. Made with seaweed, flaxseed and digestive enzymes- pet’s are supplied trace minerals, vitamins, amino acids and digestive support. Seameal has been a long time favorite of the staff here at Northland Natural Pet. 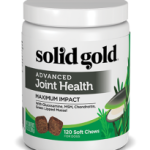 We love that this nutritional supplement is made with whole foods, visibly improves skin, coat and digestion…plus dogs and cats like eating it sprinkled on their foods. The cost to pets’ people is only pennies a day. Solid Gold Seameal has a new & fun look and will begin shipping to Northland Retailers today. There are no price or UPC changes. 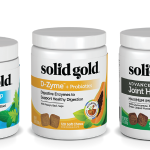 Find Solid Gold Seameal at your favorite Northland Retailer.